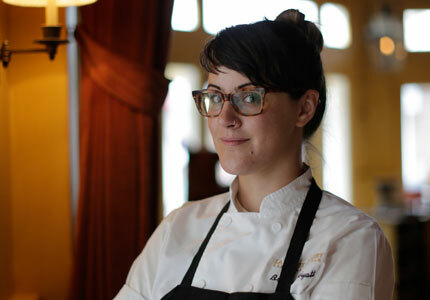 The sweeter side of New Orleans is found at La Petite Grocery when pastry chef Bronwen Wyatt, 30, is in the kitchen. Before she picked up the rolling pin, however, she was adept with a pen, majoring in English and Fine Arts at Tulane and moving to Maine to become a freelance journalist. There she took a job as a prep cook simply to pay the bills, but little did she know it would ignite a life-changing passion for pastry. Wyatt moved to San Francisco in 2009, where she worked in the highly acclaimed Range, and then became pastry chef at Outerlands, a restaurant committed to localism and organic sustainability – values Wyatt would absorb as part of her ethos when she subsequently moved back to New Orleans. 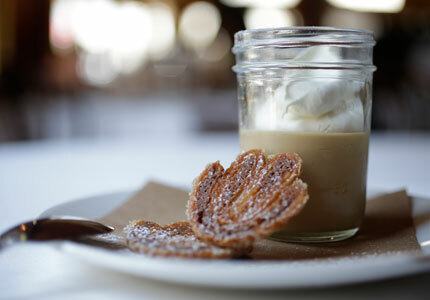 Although the kitchen was her culinary school, Wyatt’s pastry style is also strongly influenced by her mother’s Southern heritage; she brings a refined local taste to her desserts at La Petite Grocery, where dishes may include a Louisiana cane sugar crème brûlée with cornmeal shortbread and a signature butterscotch pudding. See All Top 5 Rising Chefs in the U.S.